This same great feeling carries over into many of Annie’s songs. Her children’s singles, “That’s All There Is,” "Listen - a nature song" "STOP THAT! - A Bullying Prevention Song" and "New School" have been featured and favorably reviewed on the Peabody Award-winning children’s radio program “Kids Corner with Kathy O’Connell” on Philadelphia’s WXPN, with rebroadcasts on Sirius Radio. The songs remain in rotation. Annie and Chris recently took the time to answer some of my questions. 1. When did you first start singing (or playing your instrument)? CHRIS: I started when I was thirteen. I would sit in my room for hours playing to Rolling Stones songs. I played my first club gig when I was fifteen. ANNIE: I've been singing since I was two. My Dad used to drive around with me in the car seat and sing a line of a song, and I would have to sing the response back to him. (Deedleleedle Lump Bump Dad!) For my tenth birthday, my parents surprised me with a classical guitar and folk lessons, and I discovered what I wanted to be, a singer/songwriter. Best life changing gift ever. Thanks Mom & Dad. 2. What was the first song you recall singing (or playing)? ANNIE: The earliest song I remember playing is "Tom Dooley" by the Kingston Trio. I guess I just gave my age away..... The first real song I ever wrote was when I was 14, called "Listen" and it was used for a televised recording of a play I was in with the Germantown Theater Guild in Philadelphia. Thirty years later, I added a verse and bridge to it. Then, on my birthday, I recorded it with my then ten year old son, Alexander. I could not have seen that coming at 14...really weird and cool. "Listen" is now an environmental conservation song on our new CD. It's used for Earth Day and Science curriculum. CHRIS: When I first started it was the Rolling Stones and the Beatles followed later by The Band and Little Feat. Another genre of music that imprinted on my soul at a young age and shaped my writing is the musical. Musical theater makes my heart swell. And puppets singing our songs.....HEAVEN! One day I hope The Muppets will sing some of my songs! My husband and son don't fully share my love of musical theater, but once a year they accompany me to a musical to prove their love for me...LOL ! Also attending the Philly Folk Festival every few years in 93 degree heat and humidity is an offer of love on their part. I'm a lucky girl. 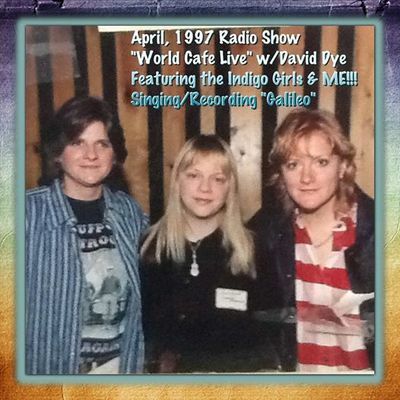 Other influences: Elton John, Joni Mitchell, Simon & Garfunkle (who are much older than me) and The Indigo Girls. CHRIS: I listen to everything but I still love funky bluesy stuff the best. CHRIS: I don't have an mp3 player, but if I did, the most embarrassing might be Justin Bieber. My daughter loves him. CHRIS: I have already played most of the big Clubs and Stadiums on the East Coast, so I would have to say Carnegie Hall....why not! ANNIE: I hope you won't regret asking me this question, Mary. This would be a good time to visit the restroom if you need to before reading my answer...lol! This one has been on my vision board since I started writing vocal-choral music. In my mind's eye, I see an International Children's Chorus on stage, with my son and I invited as guest singers in the choir. Chris Arms is playing his Martin guitar, accompanying the soundtrack to our anthem "No Time for Hate" at the Kennedy Center for Performing Arts in Washington, D.C. President Obama and the First Lady/First Mom and their girls are of course in the front row, a few seats down from my Husband, Mom, Dad and Mother-In Law. No pressure...right? We did get to perform this song and a couple of our others, a few years ago, at the Harrisburg State Capitol with an elementary school that licensed our songs. It was for Music in Our Schools Month, and we went on an anti-bullying platform, and sang in the rotunda for our Senators and Representatives. The acoustics were amazing! I wanted to cry from happiness. And my parents came too, making the whole thing a dream come true. Here is a video with a photo of the Capitol performance, featuring the song "No Time for Hate." 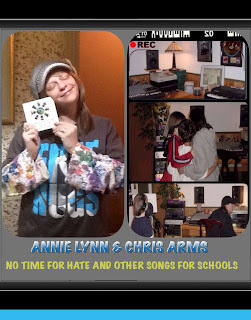 This song is also endorsed and used by Teachersagainstprejudice.org and has won several international songwriting awards. Also on the bucket list is the White House, with a children's choir. My other priority goal for now is to visit London, England during late March. This is when Earth Hour occurs and the lights go out for an hour at night. This is an event that was started by the WWF (World Wildlife Fund www.wwf.org). While it is a worldwide event, London looks like so much fun to me......They switch off the lights on the clock tower where Big Ben is housed, as well as Parliament, Tower Bridge and the London Eye (Ferris wheel). They celebrate it outdoors, in a big crowd, with all that human energy coursing with hope for a cleaner, more energy-efficient world. Everyone lights and holds little glass holders with beeswax candles (they're carbon-neutral unlike regular candles). It's a powerful gathering. Of course no surprise, I see hundreds of school children at this celebration singing my song, "It's Earth Hour" with me leading the chant. My whole family is there too. I am actually working on that plan right now, and I expect to make it happen. Soon, I hope; Cheerio Pip-Pip! By the way Mary, if any of your readers are not familiar with Earth Hour, they will find a video and song explaining its importance on my YouTube channel, www.youtube.com/anniebirdd Europe, Asia, Africa, Australia, Canada, South America.....they all have been participating, most since it began in 2007. Not many schools or even Americans are familiar with Earth Hour and that is a point of sadness and embarrassment that I feel. That was why I wrote "It's Earth Hour," to bring attention to the cause. The amount of energy saved, just from the entire world shutting off its lights for one measly little hour is amazing. And exciting. I get chills just watching on YouTube as each country takes its turn participating, and then excitedly uploads their videos to share with the world. It's sort of like watching New Year's Eve happen around the world on CNN - making its way towards your own country. Only Earth Hour is more important, and is still a lot of fun. The hope of the movement is that we will all have so much fun and be so impressed by how much energy was saved, that we will want to conserve energy often, and become more aware of our carbon footprints from all the coal energy we use. Oh No!!!! I am so sorry... I went off on my environmental rant platform again! Please just listen to our new CD and you will get lots of pointers for your kids, family, and community. 7. If you weren't a musician, what would you be doing? CHRIS: Begging...you got a dime? Music has been my way of life since I was thirteen. ANNIE: I would probably be in some kind of human services job. I like people, and I like to help. I would always have chosen being a Mom first, though. Singing Mom is just an extra bonus. And singing with my husband and son.....pure joy. Better than warm chocolate chip cookies and milk. ANNIE: I play acoustic guitar (Gibson J-45 Sunburst) and piano and keyboards (Alesis). I also sing as an Alto, and a tenor when needed. I used to play the shaker egg and the tambourine, but early on, I was encouraged to stick to guitar, keys and vocals, and let somebody else with a sense of rhythm play the egg and tambourine....or pretty much anything that had to keep a steady beat. I even had to surrender my triangle!!! It has been often observed and commented on that, "Annie couldn't find the beat 1 if her life depended on it." Sad, but true. And my sense of harmony and melody is way way over-developed. I am most grateful for that gift especially. Even if I can't find 1. 9. If you could dabble in another genre of music, what would it be? CHRIS: I already work in all styles of music...I don't mean that in an arrogant way; I am just inspired by all genres of music. However, I have just started to try and write Classical-based movie soundtrack music. I love it, but that is still a big challenge. ANNIE: Bluegrass. I found my heart and soul with that music, yet gave up writing in that genre to move towards pop, about a year after I starting having success with my children's music. My early songs were children's bluegrass, featuring some very gifted musicians like Wanamaker Lewis on Banjo and Steve Toll on Fiddle and Mandolin. Jay Ansill also beautifully played Fiddle and Mando. And of course Chris sealed the deal playing most of the other instruments. Again, due to my being rhythmically challenged, Chris was the safer option for guitar on most of the songs. Those guys and the kids made those songs special. One of our best bluegrass songs, and one of our biggest international sellers for kids is "New School." What makes this song special for me is that my son Alex, and cousin Hannah, who recorded this when they were 11 years old, came back 8 years later, and they filmed, directed, produced, edited and performed this song with puppets. My niece Emily also performed with us. What an experience! So much fun. The thoughts in this song are mostly from 4th graders that were moving up to middle school. I interviewed them at the graduation picnic, and used the funniest answers. Here's the video link to this song, which also won honorable mention in the John Lennon Songwriting Competition. 10. What other talents do you have? CHRIS: I love my Wife and my two girls and I try to be the best Dad I can! ANNIE: Other talents? Like more than one? I am a pretty lopsided person in that music is pretty much it. Is being a pretty good wife and mother a "talent?" Is destroying a room within five minutes of entering and leaving clutter all over the place a talent? If so, I am the queen of that. Thanks A.D.D. ( I do not like the new re-classification b.t.w. because I am not hyper. I don't care if they call it A.D.H.D./Non-hyper. I embrace my garden-variety A.D.D. It is responsible for some very good songs when I was supposed to be folding laundry or making dinner!) I feel my mom grimacing as I write this. 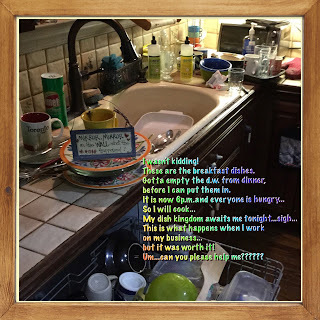 She is the queen of neat! I admire that. Just can't do it. 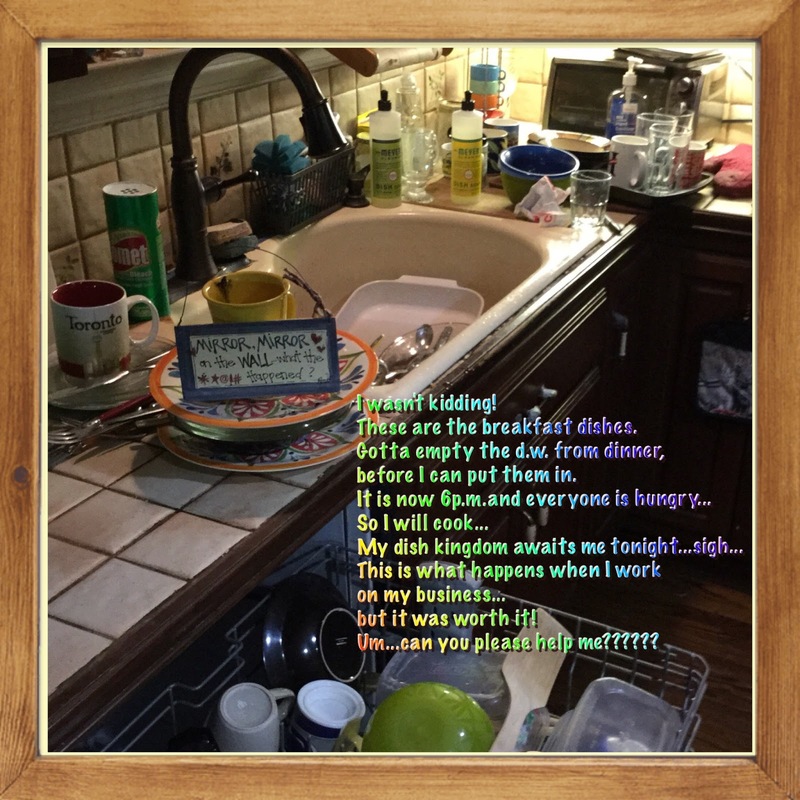 Sorry Mom, you tried.....look out for that clothes basket! 11. What is your favorite song to belt out at the bar/in the car/for karaoke? CHRIS: It would have to be "Cut Like Crystal" because it is my favorite song that I have written. My wife, Beth and I were were separated for a couple of weeks, and I was in California writing songs for BMG Publishing. We were really missing each other, and I told her that I wanted to write her a song. I asked her what her favorite word was, and she said crystal...so I wrote the song, and it still makes me cry. ANNIE: My husband Walt and I love to sing on road trips to the entire album "Past the Point of Rescue" by Hal Ketchum, the country dude. What a songwriter. What a voice! If he only knew how good our three part sounded.....call us Hank...we're available. I also enjoy popping into a player our new CD, " No Time for Hate and Other Songs for Schools" which has karaoke tracks to go with each song. I practice with it (just like students and choirs can) and I feel good, hopeful, and determined to make a difference in our world when I sing these songs. I hope that shines through on this CD and inspires kids and grownups similarly. And if you don't like it, that's okay; kindly please place the CD and cardboard cover in the recycling bin at least. 12. If you could sing a duet with any musician, living or dead, who would it be? CHRIS: It would have to be either John Lennon or Pat Metheny. ANNIE: Always, first and foremost, my preference is to sing with my husband; usually his songs. They are deep and beautiful. His voice is amazing, with just the right amount of rasp to be intriguing. There is an unbreakable connection when we sing together. After that would be Elton John and Bruce Springsteen. And I wouldn't kick Jon Bon Jovi off the stage if he wanted to harmonize, especially in Philly. We have the same birthday, are in neighboring cities, and were born an hour apart, though I think he's older....ha, Jon! 13. What is the hardest thing about being in the music business? CHRIS: Everything has changed due to the internet. Now, many people expect free music. Something has to change, otherwise the quality of music will eventually degrade. The other hard thing is rejection. We have had some amazing breaks, and some amazing rejections. It makes you want to give up sometimes. I used to do that every few months, after we would not get a song used that had been placed on hold (like last summer for the girl band Fifth Harmony), or only come in the Top Ten of a songwriting competition. We have six songwriting awards for Top 5 and Top 10, and last month we got a "Best Children's CD" in a California songwriting competition. That picked us up a bit. Recently, I finally truly realized that if I keep trying to get my music heard and distributed, I will eventually succeed. 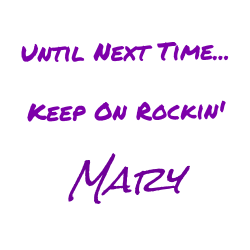 I realized that if I give up and walk away from my music business, I will be losing one of the most important parts of me, and I would hate myself for that. Some people are going to like my songs and others are not. I just try to focus on the ones who like them now. They make it all worth it and more. There is nothing like getting an email or comment on a video, from a kid who tells you how much your song meant to them. Unfortunately, I get a lot of heart- wrenching posts from bullying victims, and there are times that I have to contact a principal or teacher if mentioned, to find out if the kid who posted was being accurate, and if they were still in trouble. Many kids write that they aren't getting help with the situation. That's why we wrote "STOP THAT! - A Bullying Prevention Anthem," as a blueprint to help kids when they see or are in a bullying situation. The song is based on best-practices in bullying prevention education. And that song was personal...really personal. 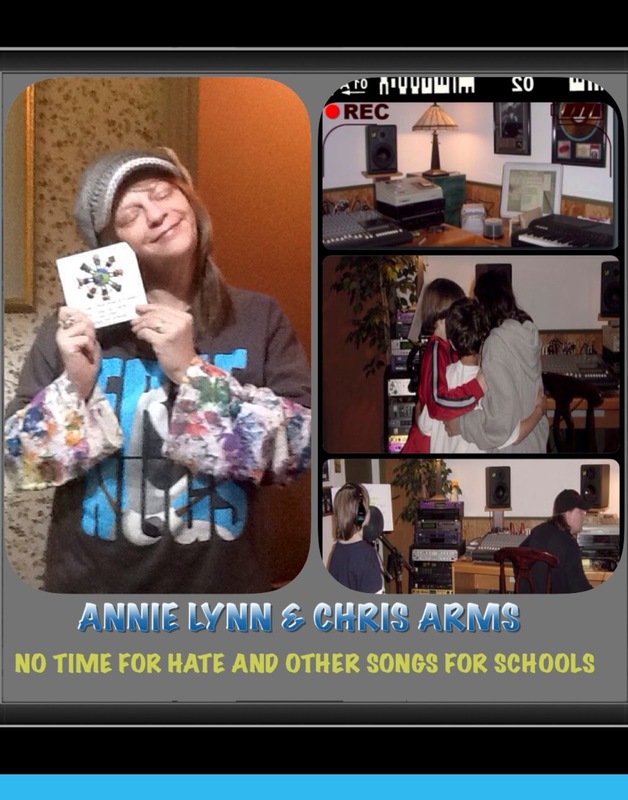 Both Chris' child and mine were being bullied, and we all had had enough of the situation, so in addition to talking with the principal and school disciplinarian, we wrote this song, got a bunch of kids together who had also been bullied, and recorded it. It was very empowering and helped everyone's self-esteem, especially when their peers came up to them and said, "I heard you on the radio last night." 14. What has been the best advice you have ever been given? CHRIS: DON'T GIVE UP!!! If music is in your blood it is all you can do. "Never doubt that a small group of thoughtful, committed citizens can change the world; indeed, it's the only thing that ever has." Every time I sign a petition for something I believe in or something I want to stop (Genetically Modified Food, Fracking, oh no here I go again...) and we win, this saying hits home strongly and makes me keep on going. JFK also said "One person can make a difference, and everyone should try." I hope I don't sound too "Crunchy Granola" as my musician friend Chana Devorah Schwartz calls it. "I have learned that people will forget what you've said or what you've done, but people will never forget how you made them feel." Please give Annie a like and a follow on her social media, it would greatly be appreciated! Thank you, Annie, for taking the time to share your story and music with us!